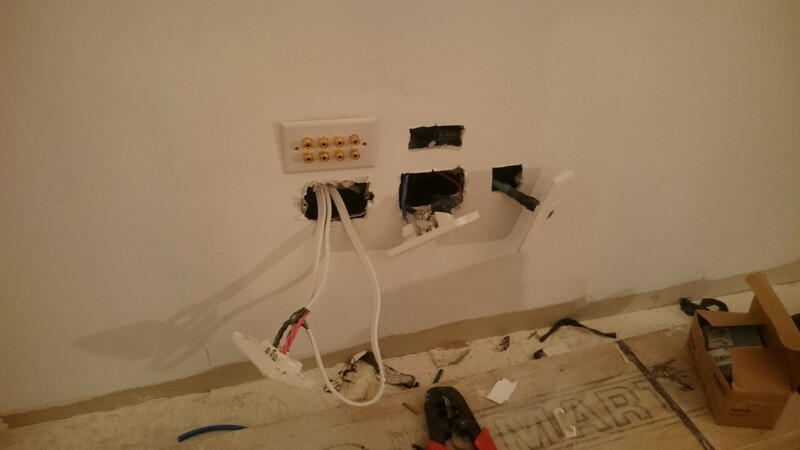 A good friend of mine is building a new home and asked if I could install his home theatre and computer network. This included a 5.1 surround sound system. 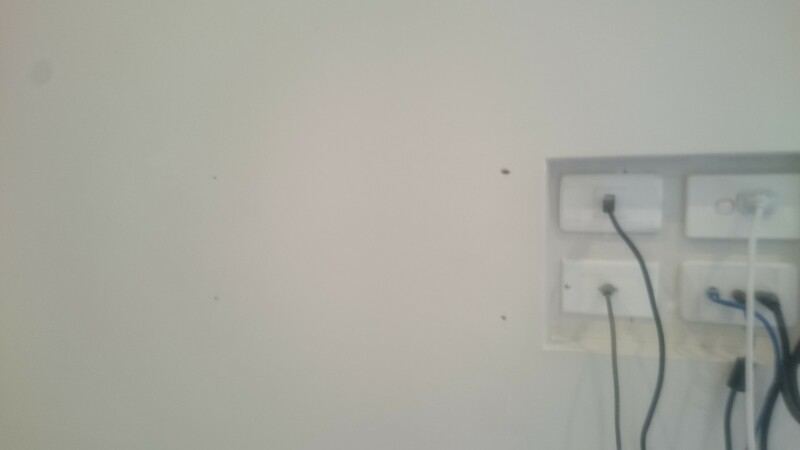 The TV is a thin wall-mounted one, which didn’t give us much room to have wall plates behind it for the cables. 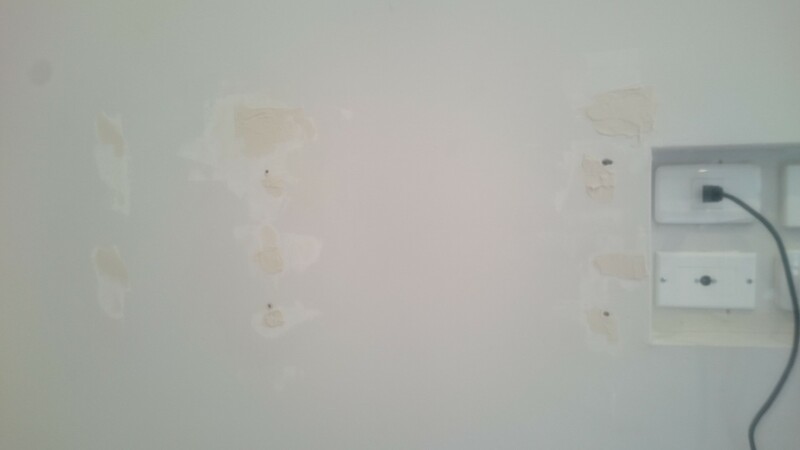 So we recessed a part of the wall to house the wall plates. 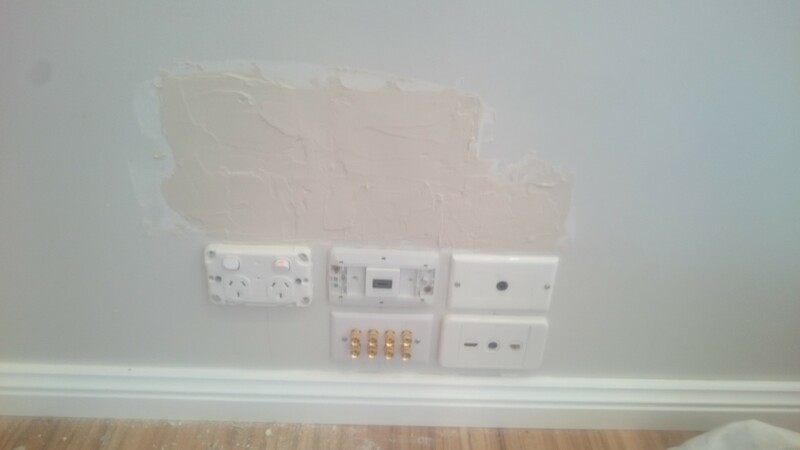 We were lucky enough to be able to run all the cables before the walls were nailed in place. 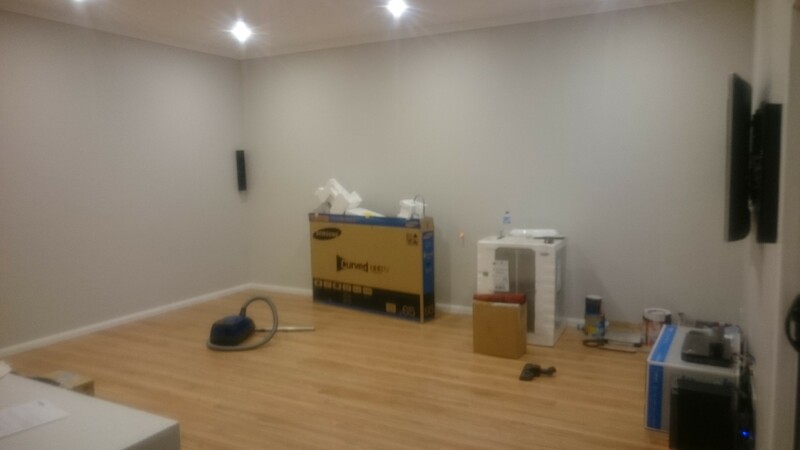 We then mounted all the home theatre hardware to the walls. 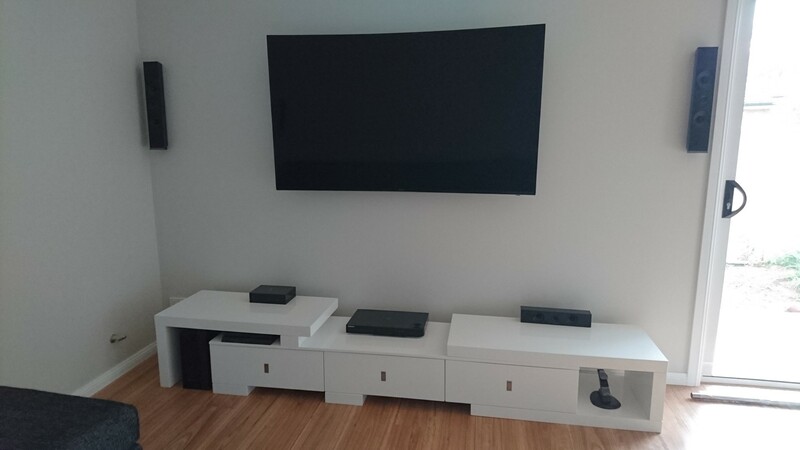 You can see the black, long, vertical speakers in these pictures. 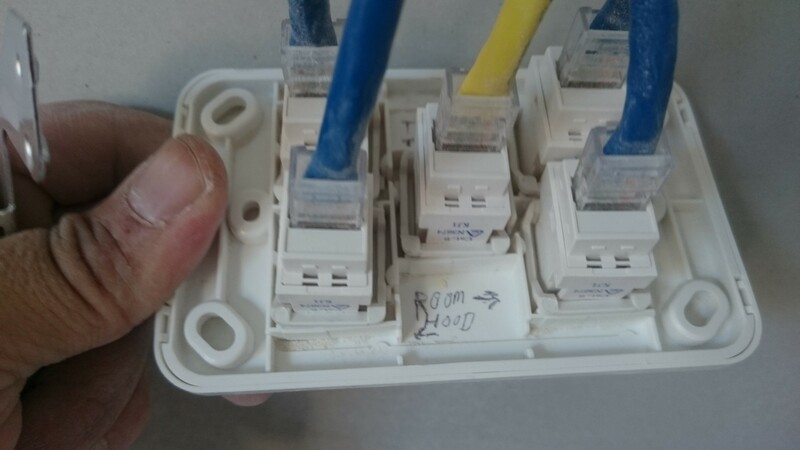 This was placed near the power switch board. 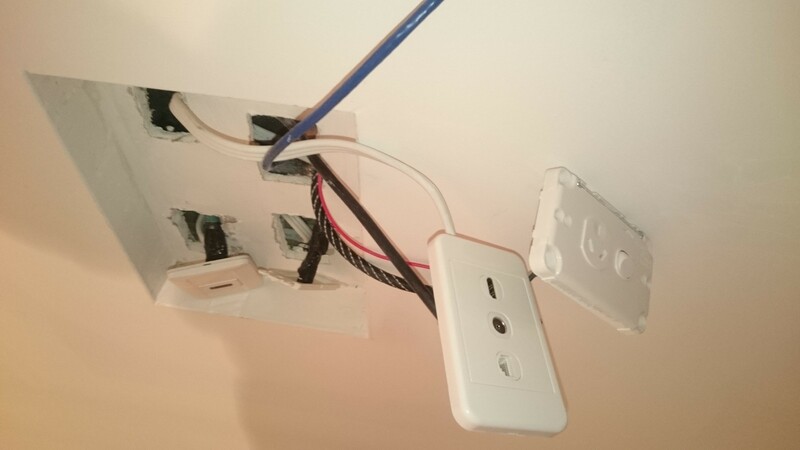 All network points throughout the house converge here and are connected to the network switch. This is the recess behind the TV. 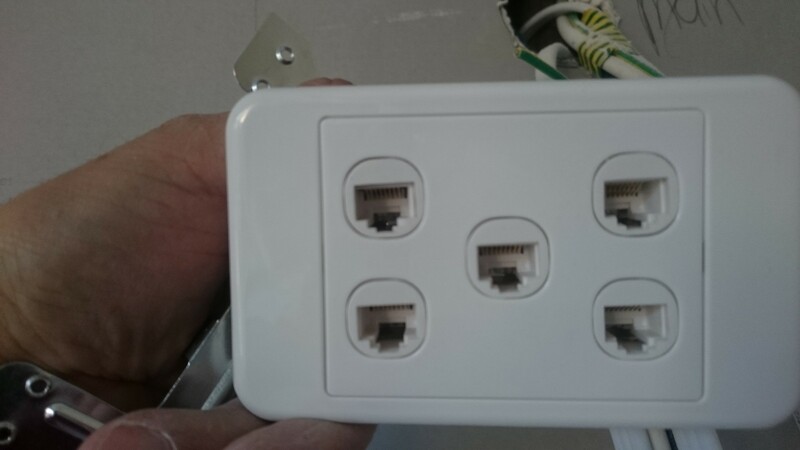 Cabling includes power, 2x HDMI, RJ45, Coaxial antenna and optical audio. 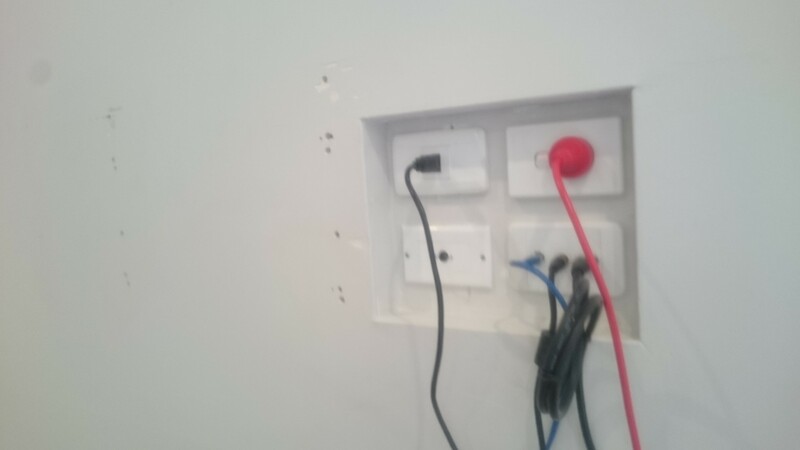 The cable run is only a couple of metres to the player units. 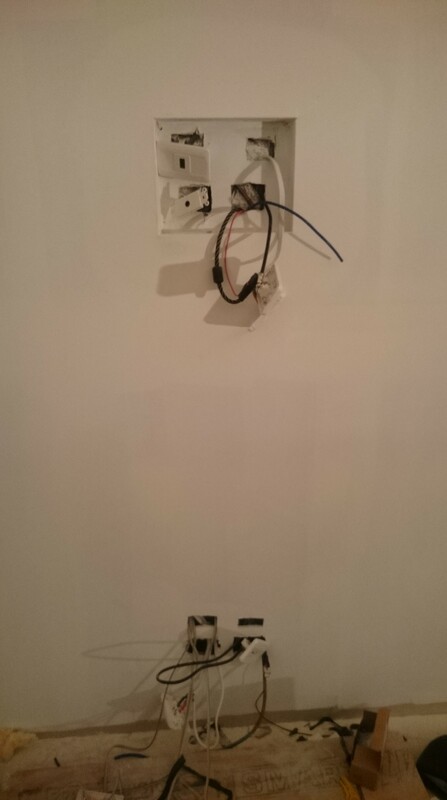 Surround sound wall plate for the speaker cables is at the top left. 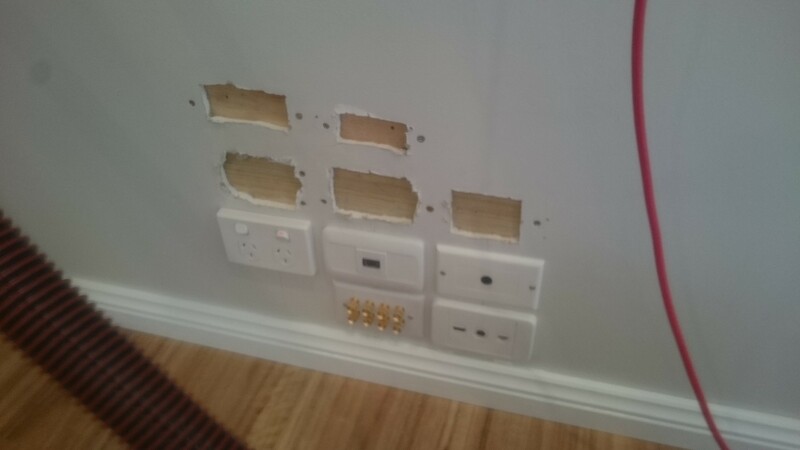 My friend bought an unusually short TV unit, which meant that the wall plates behind the TV unit were exposed. 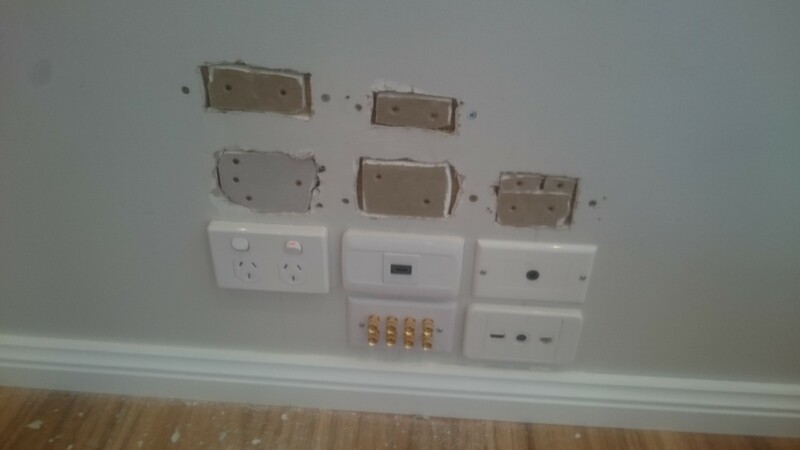 So we needed to move all the wall plates down and patch up the holes left behind. Luckily, I had a spare patch kit at home we used to do this. 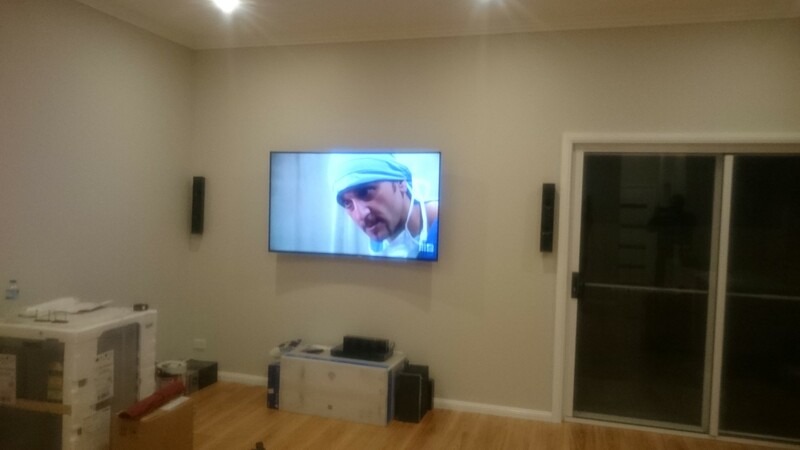 My friend also wanted to move the TV a little lower after we mounted it. So needed to patch this too. 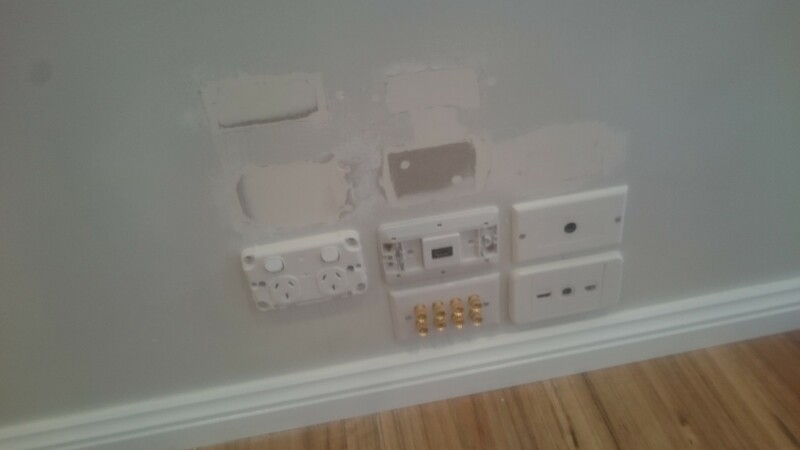 With this simple training and explanation i can work out any Home theatre and network installation. 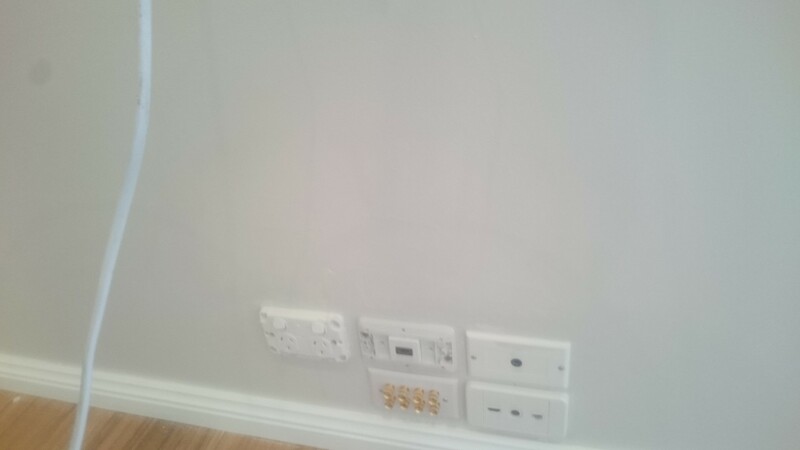 So i do not need any assistant from an engineer again to do this for me. Good training with photo explanation. 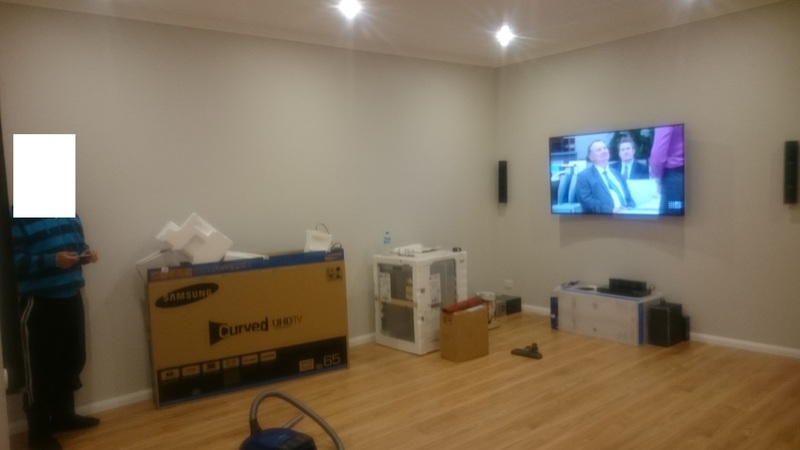 Your own home theatre… one of the best things you can have in your living room if you ask me! I really enjoyed this tutorial how to Setup your own home theatre. What I enjoyed the most is that you have a picture for every step, so it’s really easy to understand. 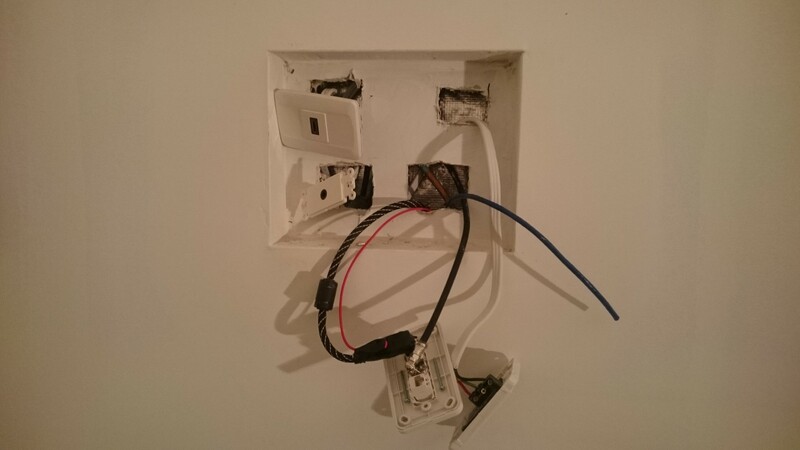 Really like your articles about home automation and IoT… Keep up the good work.